The 32nd edition of India-Indonesia coordinated patrol (IND-INDO CORPAT) is being held in Belawan, Indonesia from 11 – 27 October 2018. Under it, ships and aircraft from both countries will undertake patrolling on respective sides of 236 nautical miles long International Maritime Boundary Line. Navies of both countries have been carrying out coordinated patrolling twice year since 2002 near International Maritime Boundary Line in an effort to keep Indian Ocean region (IOR) safe and secure for commercial shipping and international trade. Indian Space Research Organisation (ISRO) signed Memorandum of Understanding (MoU) with Central University of Jammu (CUJ) in Jammu for setting up of Satish Dhawan Center for Space Science in University. It will be first of its kind institute coming up in Jammu and Kashmir. The centre is named after Satish Dhawan, father of experimental fluid dynamics research in India and former Chairman of ISRO (1971-84). He was born in Srinagar and played leading the successful and indigenous development of Indian space programme. The World Obesity Day is observed globally every year on 11 October to promote practical solutions to end the global obesity crisis. It is organised by World Obesity Federation, a non-profit body which is official relations with World Health Organisation (WHO) and is collaborating body on Lancet Commission on Obesity. The theme for this year is “It’s time to End Weight Stigma!” Weight stigma is one of last socially accepted forms of discrimination and this year’s aim to change this and end obesity stigma once and for all. The first World Obesity Day took place in 2015. The World Economic Forum (WEF) has announced its new Centre for Fourth Industrial Revolution in India. The Centre will be based in Maharashtra. It was launched by Prime Minister Narendra Modi in New Delhi. It will be fourth centre in chain-ones as part of WEF’s global network along with San Francisco (US), Tokyo (Japan) and Beijing (China) are already functioning. Established in 1971 by Klaus Schwab with head quarters in Geneva, WEF is an international institution that works to improve the state of the world through public-private cooperation. Malaysia’s Cabinet chaired by Prime Minister Mahathir Mohammad has agreed to abolish death penalty for all crimes and halt pending executions. This decision was taken in pursuance of strong domestic opposition to colonial practice for being barbarous and unimaginably cruel which has put terrible stain on the country’s human rights record. At present, the sentence of death penalty has been abolished in 103 countries, while penalty of capital punishment is still in 56 countries. UNGA passed the resolution in 62nd session in 2007 to impose universal restrictions on the death penalty. 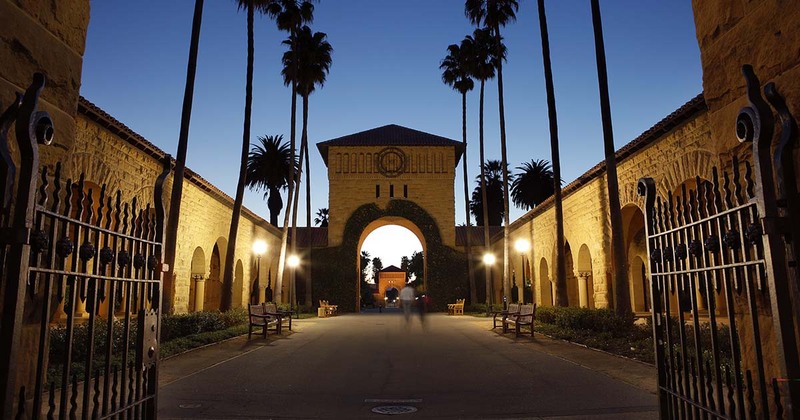 Stanford University was named as World’s Most Innovative University by Reuters’ news agency rankings. No Indian University was able to make it to the list. The Reuters’ top 100 World’s Most Innovative University ranking recognises universities from across the world for their work in inventing new technologies, advance science and power new markets and industries. It was first published in 2015. The second and third spots have been held by US’s Massachusetts Institute of Technology (MIT) and Harvard University respectively. India and Azerbaijan has signed protocol on trade and economic, science and technology cooperation. It was signed at 5th meeting of India-Azerbaijan Inter-Governmental Commission on Trade and Economic, Science and Technology Cooperation (IA-IGC) held on 11-12 October, 2018 in New Delhi. Currently trade turnover between India and Azerbaijan in January-August 2018 was US $657.9 million. The International Day for Disaster Reduction was observed across the world on October 13, 2018 with the theme ‘Reducing Disaster Economic Losses’ to promote a global culture of risk-awareness and disaster reduction. The 2018 theme continues as part of the “Sendai Seven” campaign, centred on the seven targets of the Sendai Framework. This year focuses on Target C of the Sendai Framework, which is, ‘reducing disaster economic losses in relation to global GDP by 2030’. The Indian states and union territories released over 900 prisoners in the first phase of the centre’s scheme for grant of special remission to specific categories of prisoners. The move was undertaken as a part of the commemoration of the 150th birth anniversary of Mahatma Gandhi. The prisoners will be released from prisons in three phases- on October 2, 2018, April 6, 2019 and October 2, 2019. 1. The ___ edition of India-Indonesia coordinated patrol (IND-INDO CORPAT) is being held in Belawan, Indonesia from 11 – 27 October 2018? 2. When was The First World Obesity Day observed? 3. Where will be the Centre for Fourth Industrial Revolution established in India? 5. Which is the World’s Most Innovative University according to Reuters’ news agency rankings? 6. When was the World’s Most Innovative University by Reuters’ news agency rankings published for the first time? 7. On which day The International Day for Disaster Reduction is observed globallay every year?